Note: This article was first published May 5, 2014 by HuffPost Religion. The Leadership Conference of Women Religious (LCWR), which represents the majority of U.S. nuns, was sharply rebuked by Cardinal Gerhard Mueller, prefect for the Congregation for the Doctrine of the Faith (CDF), last week during a visit to Rome. 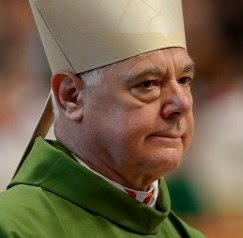 Cardinal Mueller emphasized the need for reform within the LCWR, objected to their choice of honoree for a leadership award, and criticized their interest in the idea of "conscious evolution." The CDF, which serves as the Vatican's doctrinal watchdog, told the Presidency of the LCWR that their choice to honor a feminist theologian, Elizabeth Johnson, with an Outstanding Leadership Award "is a decision that will be seen as a rather open provocation against the Holy See and the Doctrinal Assessment." Johnson's popular book Quest for the Living God was publicly denounced by the Committee on Doctrine of the United States Conference of Catholic Bishops in 2011. The USCCB released a statement saying that the text reaches many "theologically unacceptable" conclusions. Johnson is a Distinguished Professor of Theology at Fordham University, a Jesuit college in New York. It saddens me to learn that you have decided to give the Outstanding Leadership Award during this year’s Assembly to a theologian criticized by the Bishops of the United States because of the gravity of the doctrinal errors in that theologian’s writings. This is a decision that will be seen as a rather open provocation against the Holy See and the Doctrinal Assessment. Not only that, but it further alienates the LCWR from the Bishops as well. Tension between the Vatican and the LCWR has been palpable for decades, culminating in a strict 2012 "doctrinal assessment" report that spoke of the need to cleanse the sisterhood of "radical feminist themes incompatible with the Catholic faith." Archbishop J. Peter Sartain of Seattle was promptly appointed to supervise the LCWR. Archbishop Muller's opening remarks released by the Congregation for the Doctrine of the Faith accurately reflect the content of the mandate communicated to LCWR in April 2012. As articulated in the Cardinal's statement, these remarks were meant to set a context for the discussion that followed. The actual interaction with Cardinal Muller and his staff was an experience of dialogue that was respectful and engaging. Mueller was chosen by Pope Francis' predecessor, Pope Benedict XVI, to lead the Congregation for the Doctrine of the Faith. However, the influence of the Congregation under Pope Francis may be changing, as the new pope reportedly told South American priests and nuns not to worry if they received letters from the CDF criticizing their behavior. Vatican Tells Off U.S. Nuns for Not Toeing the Line – AFP via Yahoo! News (May 6, 2014). U.S. Nuns Must Give Up New Age Ideas or Lose Vatican Recognition: CDF Head to LCWR Nuns – Hilary White (LifeSiteNews.com, May 6, 2014). Head of Vatican Doctrinal Congregation Confronts LCWR for Non-cooperation – Dennis Coday (National Catholic Reporter, May 5, 2014). Crackdown on U.S. Nuns Continues Under Pope Francis – Associated Press via Yahoo! News (May 5, 2014). Cardinal Kasper, the 'Pope's Theologian,' Downplays Vatican Blast at U.S. Nuns – David Gibson (Religion News Service via National Catholic Reporter, May 6, 2014). American Nuns Get Slapped Down By the Vatican – Emma Green (The Atlantic, May 6, 2014). The story in the NCR quoted Muller at length about the dangers of "conscious evolution." He fears the tendency to Gnosticism. I have only a vague notion of what those fears are. Can anyone enlighten?